09 Aug Read this review! Could this be the best honeymoon resort in Mexico? Could this be the best honeymoon resort in Mexico? 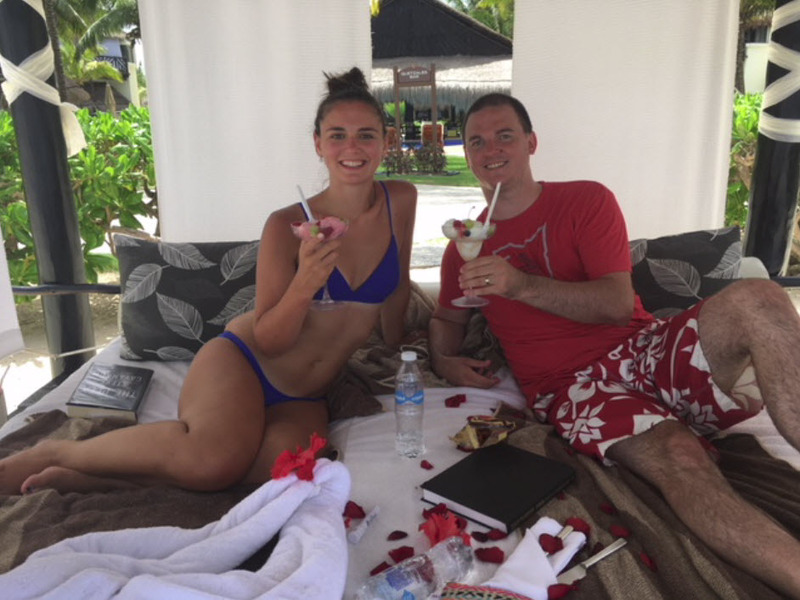 This lovely couple was seeking safety, romance, beauty, and affordability and found it all at El Dorado Casitas Royale. Thanks to Bliss Honeymoons, they also basked in the luxury of stress-free private transportation. 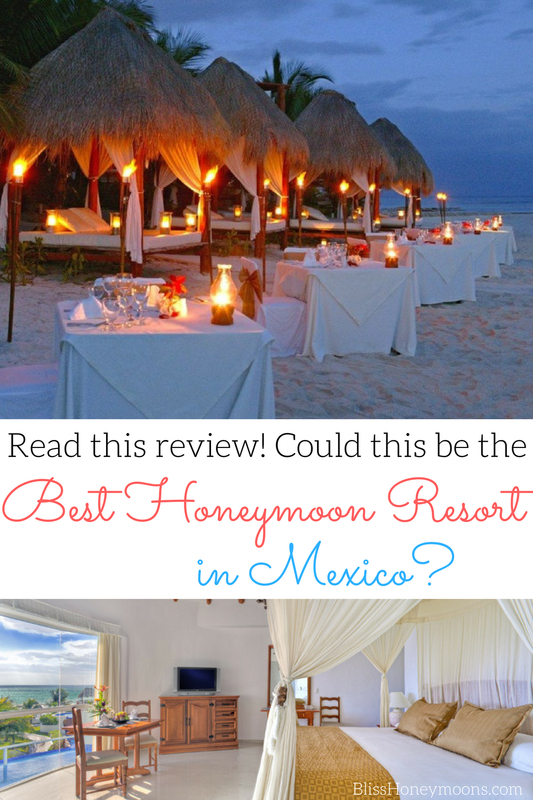 Take a look at their review, connect with Bliss Honeymoons and decide for yourself if this resort is right for you. On a scale of 1 to 10 , how would you rate your overall experience? What was your favorite thing about this trip? Was there a meal or a staff member that made the trip really memorable? The whole staff at the resort was wonderful, however, we really enjoyed Luis, our pool bartender. He was wonderful, and made sure we had a great time everyday! We love photos! Do you have any photos of your trip you’d like to share with us? Yes…see above! Which of our awesome agents did you work with? 10! She responded to my questions very quickly and everything went smoothly. What was your goal in hiring a travel consultant with your trip? Did we help you reach that goal? My goal was to have Laura help us find a resort where we would not only be safe, but have the best honeymoon possible! I have never been out of the country before and when I was doing my own research everything looked beautiful. My goal was definitely met! We had the best honeymoon and it was such a relief to not have to worry about planning anything. We really appreciate the private transportation. I think that saved us a lot of time and stress as well. Was this your first experience working with a travel agency? If so, are you likely to engage our services again? Yes, this was my first time working with a travel agency. I definitely will, and I have already recommended this agency to my family members. How Likely Are You To Recommend Bliss Honeymoons To A Friend? Some couples have such a great time on their honeymoon that they decide to return on their anniversary. Would you like your agent to look into return trip promos for you?